Home EDUCATION Kirumira Cannot Resign Via Social Media – Police. Kirumira Cannot Resign Via Social Media – Police. The confusion and disagreements between Former Old Kampala Police commander and current Buyende district District Police Commander (DPC) Mohammed Kirumira are not stopping very soon. 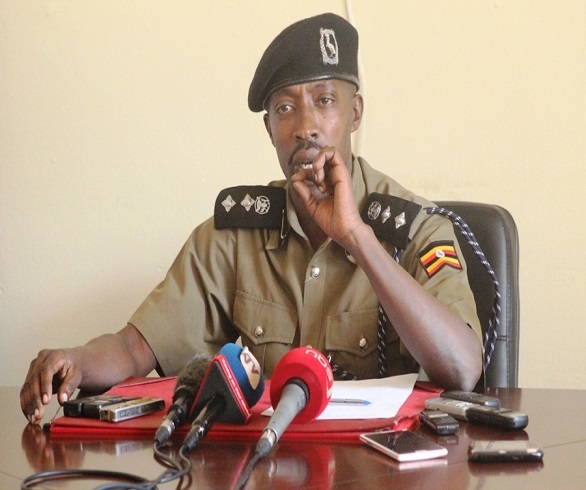 After our story that run on our website (www.flashugnews.com) yesterday talking about Kirumira resigning as DPC for Buyende district and quitting the police force to allow the police to do its work, the force through its Spokesperson Emilian Kayima has come out and rubbished the resignation claims by Kirumira. Kayima says that anyone in Police cannot resign through whatsapp and it will never be accepted. Kayima said that Kirumira’s act is in breach of contract of police code which amounts suspension or interdiction under section 31 of the police act. Embattled Kirumira faces cases which include unnecessary arrests, extortion and corruption which can result into imprisonment or expulsion from police. “ASP Kirumira cannot and should not resign from police through a whatsapp message or through granting interviews to the media. This message should go a long way to warn other officers who get excited over nothing and begin to breach the code which binds it as a force. When the full wrath of the law weighs on you, it will be you alone to tell the story and you will surely need sympathies”. Emilian Kayiwa further explained the different procedures that should be followed for anyone to resign from the force. One should write to the Secretary of the police Authority who also works as the Permanent Secretary Ministry of Internal Affairs detailing his interests to leave the force. Then a meeting chaired by Internal Affairs minister which must reach a conclusion. From here, the officer is granted or denied permission to leave police. He is handed a discharge letter and certificate of service by Inspector General of Police. Therefore this reverses Kirumira’s interests to resign and leave police. Previous articleBreaking News: Moze Radio Passes On! Next articleOmojoye’s Dr.Jazz Releases New Video: All For You.